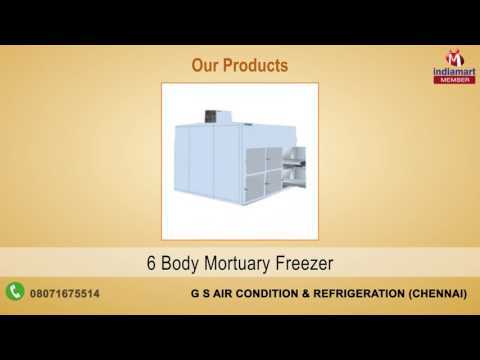 Established in the year 2011, GS Air Condition & Refrigeration is engaged in wholesaling and trading of Cold Rooms, Ripening Chambers, Mortuary Freezer, PUF Panels, Water Coolers and much more. We are also engaged in service providing of Cold Storage Services, Cold Storage Installation Services, Refrigeration Service and much more. We have gained many credits, when it comes to the features of our offered product range, such as we are the leading entity that deals with a complete range of reliable cooling systems with trouble free operations, low maintenance, longer service life and highly equitable price bands.